Nikki adapted her Snapshot tag from the original creator’s, Stuart from Always Trust In Books and I’ve decided to use Nikki’s adaptation rather than the original. All you wonderful readers should pop over to Nikki’s blog, Chronicles of an Obsessive Bookseller, and the original tag to check them out! That’s an interesting group of books. I have UF, Fantasy, 60’s romance, Navy SEALS, and a second chance romance. Plus, two of those books are from favorite authors. I knew I couldn’t go wrong. I do my best to not post spoilers, however I also feel like some of the responsibility lies on the reader. What is a spoiler to me, might not be a spoiler to someone else. I feel like reading a review of a book you haven’t finished yourself is playing with fire. I’m careful, but I also don’t stress about it when I’m writing either. As far as reading a spoiler myself… I don’t like to read a spoiler. That’s why I usually just skim a review, or if it’s a series I’ve started or a book I really want to read I usually don’t look at reviews at all. With that said, there are times I purposely go looking for a spoiler too. Sometimes I just need to know. 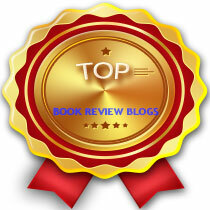 I actually started blogging in March of 2014 at Badass Book Reviews. A good friend of mine invited me to blog with them, and since I’d always wanted to blog but wasn’t sure how to create one, I joined up. I figured it would be loads of fun and that I would get all kinds of experience. 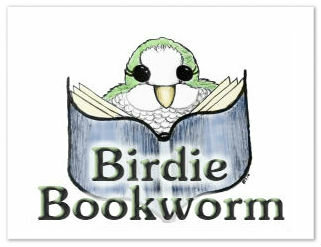 Once I felt comfortable and ready to branch out on my own I started Birdie Bookworm. My first post went live on July 7th of last year, and I left Badass Book Reviews on January 1st and threw all my energy into Birdie. I couldn’t be happier with my little e-space. It’s really hard to pick just one. I think I’d have an easier time talking about what I don’t like, rather than what I do. I read both YA and Adult, mostly. So I’ll elaborate there, because I tend to be selective about genre’s in each classification. I love Fantasy, both Adult and YA. Although, I’m picky about which ones I select. I don’t like overused tropes, and I find this a lot in Fantasy novels. I love romance, both YA and adult. Although I don’t much like adult contemporary romance. (Except for M/M.) And I’m a pretty big fan of contemporary YA. I’m not such a fan of contemporary adult. I tend to find them too dry. I feel like I should be able to answer these questions with ease, but I can’t! When I was younger, before I started work full time, I preferred tome’s. The longer the better. I had all the time in the world to read a 1000 page book in 2 days. Now, I tend to stay away from the super long books. Particularly now that I’m running Birdie Bookworm solo. I can’t even imagine how long it would take me to finish a tome, and since I can’t read more than one book at a time I’d never post a review! I also don’t read many novella’s. There are exceptions, like short stories from an ongoing long series, but for the most part I like my books to be anywhere from 200-500 pages. Goodreads says I have 740 books ‘to read’. I’m not sure how accurate that is though. I tend to go back through my to read shelf and remove things. I’m also positive that there are books I physically bought that aren’t on this list. I don’t often DNF a book, so there weren’t any recent DNF’s. However, these three immediately stand out as books that are incredibly popular but they didn’t do it for me. I’m sure I’m the problem, and not the book. In all three cases, they should be books I love. They hit all the right buttons, in terms of genre and style. There was just something missing for me. I do intend to try them all again later. Like I mentioned above. I had my first blogiversary. That was pretty monumental to me. Also, I hit 700 wordpress followers, and 1000 overall followers. I loved that too. I haven’t had many author interactions. I’m just happy when I get a like or retweet on Twitter. I think I need to add going to signings and conventions to my goals for next year. My average is 8. However, I’ve gotten as high as 20 before. And then, I’ve also gotten as low as 4. I’m usually unhappy with myself if I don’t at least hit 7-8. Dreamspinner Press – They’re so friendly and kind! Penguin and all of their imprints – I can’t pick just one. Seems like all my favorites on one of their imprints. And really, that’s probably about it. I don’t much pay attention to publishers as much as i do authors. I don’t know if that’s bad. I’m actively linked to Twitter, Tumblr, Google+ (though it’s super faulty, I don’t even know if it works), Bloglovin, and Facebook. On my own, I also do Instagram, Goodreads and Pinterest. I feel like I spend hours, and yet I feel like it’s not enough! I’d say between blogging and networking I spend about 4-5 hours a day. Whatever randomness inside Birdie’s brain! There wasn’t particular blogs that I looked up to. I had blogger envy, of course. I wanted to grow as fast as blog A. Have a pretty design like blog B. I wanted to a part of a larger community, like blog C. But I didn’t really ‘look up’ to them. I did love to go around and read the do’s and don’ts, or the blog posts that were ‘what I look for in a blog I follow’, because they’re always so full of good information for new blogs. But, again I didn’t really ‘look up’ to any. Maybe because I knew what idea I had, and the blogs were so different from what I was thinking about, in terms of blog style and brand. However, long before I started blogging I was crazy about a blog called Lit Connection. It was the first book blog I ever read religiously, both because she was so funny, and because we liked similar books. She’s stopped posting, having become an author, but her old blog posts are still up to peruse. That’s probably the blog I looked up to, because it’s where I was inspired to want a blog, which led me to Goodreads, which led me to Badass Book Reviews, which ultimately led me right here. So far in 2017? So far in my life? So far, since starting Birdie Bookworm? The best book I read in 2017 was probably The King’s Men. It was a strange, sort of scattered book, but the characters were incomparable. I didn’t expect to love it this much. The best book of my entire life, well Outlander of course! My answer will never change. 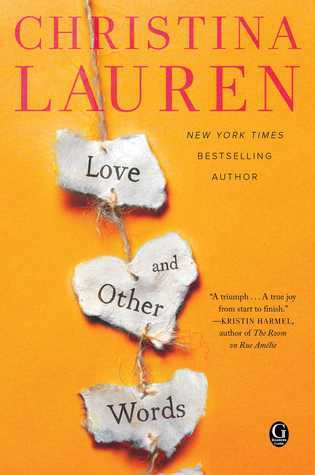 The best book I read since starting Birdie Bookworm, definitely How to be a Normal Person. Have fun! That encompasses all aspects of blogging. Have fun in what you right. Have fun in visiting, and commenting and conversations. Blogging is a lot of work, but we do it because it’s fun. I think that’s the biggest piece of advice I can offer. If you’re not having fun, then you’re going to find yourself burnt out. Nobody wants to be there. I’m not going to tag or nominate anyone for this, but if you decide that it’s fun and want to give it a shot, please let me know (comment or pingback). I’d love to come read your blog snapshot! That one about the blog envy ! Same ! I guess it’s universal lol . And omg , the tome thing , too. Ever since the blogging started , reading so much went out the window . I wish I could let someone take over the blog every now and then so I could read the way I used to . Yeah, having enough content for Birdie Bookworm does mean that I can’t read the longer books. I know that eventually I will, but that’ll be the time I’m no longer running the blog, lol. I don’t anticipate that day coming for many years. Thank you! It’s like, not wanting to see your birthday presents but then digging around in your parents closets… eventually you’re going to find a present! Hahaha. Wow! This is certainly a detailed tag. I really appreciate how much time you must have put into this. It would have taken me forever! I agree about not really knowing about publishers. I’m terrible about paying attention to them, which is #embarrassing. Unlike you, I have no problem DNF’ing a novel. If I’m not engaged, well, why am I spending my time reading it? And finally — good luck reviewing your TBR! That’s an overwhelming project for me, for sure. I’ve been working on it all year long, too. What changed your mind with DNFs? Pretty much when I joined Goodreads, lol. All of the sudden this whole new world of books opened up and the idea of a growing backlog of books I still wanted to read made holding onto the bad ones seem like a bad idea. You totally should! I’d love to hear what books fall on your book bucket list. I’m such a mood reader- there are so many things I want to read which I never get to out of moodiness.